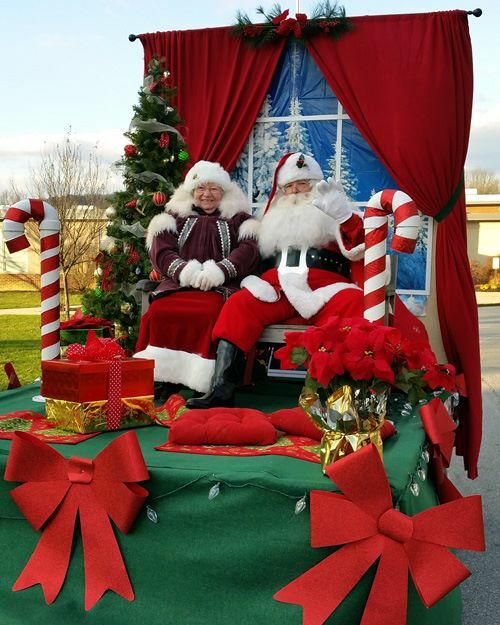 Downingtown has always been a neighborly town – so neighborly that it has an annual event schedule that includes Good Neighbor Day each summer and Good Neighbor Christmas (downtown Downingtown, http://www.dtownchristmas.com) every winter. On December 8, Downingtown will host its annual Good Neighbor Christmas event beginning at 1:30 p.m. Activities include free refreshments, live entertainment by Walt Kinsey and Company, Octorara Snowflake Symphony and Touch of Class Dance Studio. Coatesville will be the site of a special Christmas event on December 7 from 3:30-8 p.m. — the “Holiday Open House” at the National Iron and Steel Heritage Museum (50 South First Avenue, Coatesville, 610-384-9282, www.steelmuseum.org). As an added attraction, Santa Claus will be at the event to receive wish lists from visitors young and old. 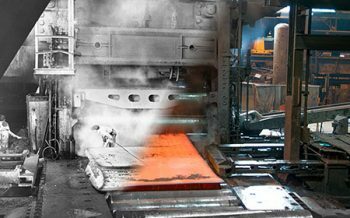 On December 13, the Museum will have a special event to “Celebrate 100 Years of the 206″ Rolling Mill” from 6-8 p.m.
Richard Smith, Manager of Process and Product Design at the ArcelorMittal Coatesville, will lead a visit to Coatesville’s 206″ Rolling Mill, which is celebrating 100 years of operations in 2018. The 206″ was once the largest mill in the world and is still making steel for American ships and submarines. 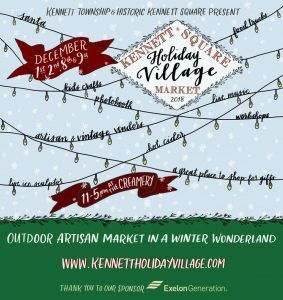 The 2018 Kennett Square Holiday Village Market will be held at The Creamery of Kennett Square (401 Birch Street, Kennett Square) on December 8 and 9 from 11 a.m.-5 p.m. each day. Other special activities include an ice sculptor on Saturdays, photos with Santa on Sundays, wreath-making workshops and live music. Kennett Square, http://www.squarepeargallery.com/) will take place from 6-9 p.m. The show will feature paintings, pottery and jewelry by talented local artists including Michael Buszkco, Janice Chassier, Ki Crittendon, Brad Earl, Jack Gianguilio, Ann Guidera-Matey, Robert Jenkins, Rhoda Kahler, Lidia Kohutiak, Matiko Mamaladze, Al Moretti, Kathryn E. Noska, Susan O’Hanlon, Peter Saenger, Sandra Severson, Patricia Walkar, Merril Weber and Katy Winters. A “Sunday Brunch with Santa” highlights a host of holiday-themed events at The Market at Liberty Place (148 West State Street, Kennett Square) this December. 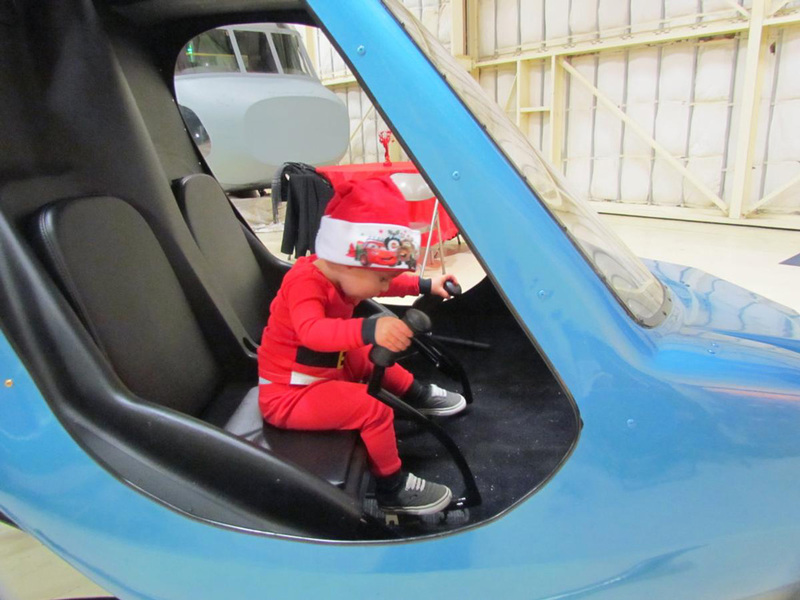 A visit with Santa will take place on December 9 from 10:30 a.m.-1 p.m. and is free of charge. Brunch may be purchased separately from Mary Pat’s Provisions, one of the businesses in The Market. Tickets are sold in person at Mary Pat’s, by phone at 484-280-8297, and online at http://www.eventbrite.com. On December 8, there will be a “Reindeer Lights Painting Class” for kids at 10 a.m. and a book signing with local author John Ruben Aranton from 3-5 p.m. The Market at Liberty Place will also feature pop-up vendors throughout the month in selling both food and non-food items. Special events include “Carols Concerts” throughout December, “Breakfast with the Trains” on December 8 and 15, and “Terrific Trains Family Program” on January 5. On December 8, Santa Claus will drop in using a totally different method when he visits the American Helicopter Museum (1220 American Blvd., West Chester, 610-436-9600,www.helicoptermuseum.org) for “Santa Fest.” Children will be able to stand outside and watch with amazement when Santa arrives in a helicopter. On December 8, the Schuylkill Canal Association will present a special “Holiday Luminaria” from 6-9 p.m. at Lock 60 at Schuylkill Canal Park (400 Towpath Road, Mont Clare, 610-917-8030, www.schuylkillcanal.org). Phoenixville’s annual Firebird Festival (Veterans Field, 192 Mowere Road, Phoenixville, www.firebirdfestival.com) is set to light up the sky again this weekend. Phoenixville will celebrate the arrival of the solstice with a special event on December 8 with festivities slated to get underway at 3 p.m. on Bridge Street. The free event will feature a “Crafts Bazaar” and a variety of live entertainment including The Uninvited, Blue Moon Band, Gypsy Funk Squad, Jake Fleming, Stephen DiJoseph, The Cozy, DJ Black Jack Shellac, Canadian Tuxedo, Dave Loves Donna, Dirk Quinn, Josh and Allison Strange, House Plant, Olivia Swenson, Ralph Pagano & the Criminal Element Band, and Florida Wayne Band. At 8 p.m., there will be a pageantry parade featuring drummers, dancers, giant puppets and the torch that lights the bird. Then, it will be time for the lighting of the Firebird. The Historic Village of Yellow Springs (Yellow Springs Road, Chester Springs, 610-827-7414, http://yellowsprings.org) will host its annual Holiday Stroll on December 7 from 5-8 p.m. The evening begins at the Chester Springs Painting Studio where the West Pikeland Parks and Recreation Department will welcome everyone with music, wonderful crafts for the children to make, face painting and delicious snacks. On December 7, the Mill at Anselma (1730 Conestoga Road, Chester Springs, 610-827-1906, www.anselmamill.org) will offer “Christmas Lantern Tours” from 4:30-6:30 p.m.
On December 8, it will be time for “Santa Visits the Mill.” The big guy in the red suit will be on site from 10 a.m.-4:30 p.m. to welcome kids of all ages and hear what their holiday wishes are. December 8 is also one of the site’s “Milling Demonstration Days.” Special technology tours will be available that focus on how different parts of the mill works. Visitors can meet the miller and hear him talk about how the gears work and what they do. There are also hands-on interactive activities for the children as they sift flour and operate a pump on a smaller water wheel. 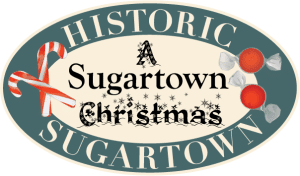 On December 8, Historic Sugartown (609 Sugartown Road, Malvern, 610-640-2667, www.historicsugartown.org) will present “A Sugartown Christmas”. The event, which runs from 11 a.m.-3 p.m., will have a Victorian flavor throughout. Vendors and special exhibitors at this year’s event will be local authors Bruce Mowday and Iris Gray Dowling, Barretta’s Inc. Soap Factory, The Hues of Murky Blue, Marziani Handmade Jewelry, Locust Lane Craft Brewery, Center Massage, Manatawney Still Works and Simpson House Tea Room. Admission is $7 per person — free for children (two and under). 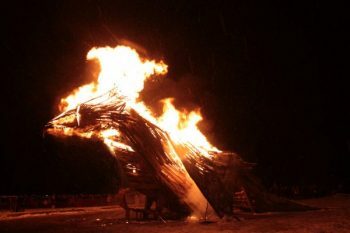 After the wagon ride, guests are encouraged to gather around the bonfire to enjoy hot beverages. 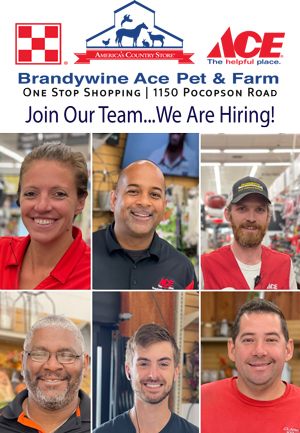 There also will be opportunities to have pictures taken with Santa and check out the live nativity scene that features real animals and actors. Arasapha Farm is featuring its “Holiday Hayride” on December 7-9 and 14-23 from 5:30-8:30 p.m. each night — weather permitting. Tickets are $15 for adults, $12 for seniors and $10 for children (ages 2-8). “Time Out” from all this holiday stuff. There are a few entries on the weekend calendar that are not holiday-related events. 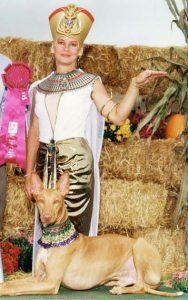 On December 8 and 9, the Valley Forge Kennel Club, Inc. will host the annual Valley Forge Dog Shows at the Greater Philadelphia Expo Center (100 Station Ave., Oaks, 484-754-3976, http://www.valleyforgekc.org). Kimberton Waldorf’s 42nd Annual Craft Show, which features sales booths and other family activities, will be held December 7 and 8 at Kimberton Waldorf School (410 West Seven Stars Road, Phoenixville, 610-933-3635, https://www.kimbertoncraftshow.org/). The show will include more than 70 top-flight artisans presenting textiles, jewelry, pottery, woodwork, handmade toys, and gourmet foods. The gala opening on Friday evening attracts many eager shoppers. Events on Saturday include lunch, an elegant tearoom with musical entertainment, and a number of children’s activities. Tickets for the ‘Preview Night,” which runs from 6-10 p.m., are $10. Saturday’s activities run from 9 a.m.-4 p.m. and admission is $5. The City of Lancaster will celebrate First Friday on December 7 from 5-9 p.m. at a variety of venues in the center of town. 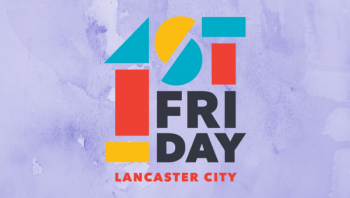 Some of the highlights of this month’s “First Friday” celebration will be “Buddhism,” a photo display at City Hall Gallery (120 North Duke Street), along with art exhibitions at Benjamin Roberts Ltd (240 North Prince Street), Community Room on King (106 West King Street), Mulberry Art Studios (19-21 North Mulberry Street) and Paris Wyatt Llanso Behind the Scenes (26 North Water Street). There will also be a performance by Harrisburg Gay Men’s Chorus at First Reformed Church (40 East Orange Street) from 7-8:30 p.m.
O.K. Time to get back to the weekend’s holiday-related activities. On December 8, the Independence Seaport Museum (211 South Columbus Boulevard, Philadelphia, 215-413-8655, phillyseaport.org/lights) will present its annual “Parade of Lights” along the Delaware River near Penn’s Landing starting at 5:30 p.m.
Activities and entertainment are included with admission. Admission to the museum costs $17 for adults and $12 for seniors, children, students and military. At Gloria Dei Old Swedes’ Church (Delaware Avenue and Christian Street, Philadelphia, 215- 389-1513, www.Old-Swedes.org), the 2018 Lucia Fest will be held on December 7-9. At Gloria Dei Old Swedes’ Church (606 Church Street, Wilmington Delaware, 302- 652-5629, www.oldswedes.org), the Sankta Lucia Celebration is scheduled for December 9. The Lucia Fest & St. Eric’s Fair at Old Swedes’ Church will be held December 7 at 6 and 8 p.m. and December 8 and 9 at 2, 3:30 and 5 p.m.
Gloria Dei Old Swedes’ Church in Delaware will present its traditional celebration of the Feast Day of Sankta Lucia on December 9 at 1 p.m. and again at 3 p.m.
Tickets for the 2018 Sankta Lucia Celebration are $10 for adults and $5 for children. 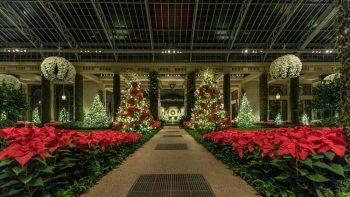 Special events and tours will be held throughout the holiday season including “Candlelight Tours” at 7 p.m. on December 11, 13, 18, and 27; “Festive Foods/Hearth Cooking Demonstration” on December 8, 15, and 29 from 10 a.m.-3 p.m.; “Children’s Holiday Tea Party” on December 9 at 2 p.m.; and “Curator Candlelight Tour” on December 20 at 5 and 7 p.m. The free event, which is celebrating its 18th anniversary this year, is sponsored by the New Castle Visitors’ Bureau and the New Castle Presbyterian Church. Activities include tours of many historic homes decorated for the season, museum tours, events at the New Castle Court House (part of the First State National Monument) and musical performances and entertainment throughout the town. 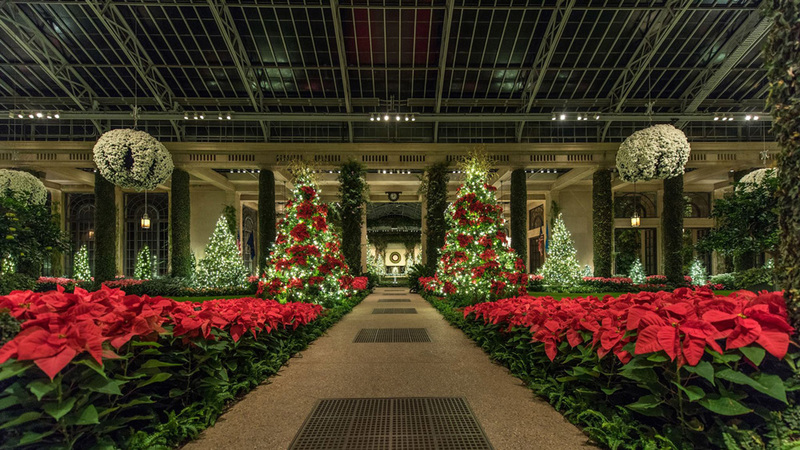 The popular family event, which runs from 5-7 p.m. each night features tours of the holiday display in the museum and a joyous light display in the gardens surrounding the Mansion and Carriage House. This is a free event, but donations of non-perishable foods are collected for local food closets. The special “Santa’s Express” trains (which feature heated cars decorated for the holidays) will run on December 8, 9, 15, 16, 22 and 23 at 11 a.m., 1 and 3 p.m. There will be additional departures at 5 p.m. on December 8, 9, 15, 16, 22 and 23. The “Santa Claus Polar Express Train” is running on December 8 and 9 and 15-23. The “’Twas The Night Before Christmas Train” will depart on December 7 and 8 and 14-23. The “Snowflake Special” will run from December 25-31. The Middletown & Hummelstown Railroad (136 Brown Street, Middletown, 717-944-4435, www.mhrailroad.com) will be running its “Santa Surprise Trains” on December 8, 9, 15, 16, 22 and 23 and its “Polar Bear Express” on December 8, 9, 14-16 and 21-23. If you want to see a holiday show on stage, consider attending out the Barley Sheaf Players’ (810 North Whitford Road, Lionville, 610-363-7075, www.barleysheaf.org) production of “A Charlie Brown Christmas,” which is being staged December 8, 9, 14, 15 and 16. Will Charlie Brown find his holiday spirit and the true meaning of Christmas even when getting the perfect tree and directing the Christmas Pageant do not go the way he planned? Find out as this holiday tradition comes to life. The 1965 animated classic, A Charlie Brown Christmas is now a stage show with all the characters you know and love. The production, which is directed by Christine Robinson, has performances scheduled for December 8, 9 ad 16, at 2 p.m., December 14 at 7 p.m. and December 15 at 2 and 7 p.m. Tickets are $17 for adults and $13 for students (18 and under) and seniors (60 and over). Tickets sell out quickly so check with website before making plans. Just north of Chester County, several of Montgomery County’s scenic historic sites are already celebrating the 2018 Christmas holiday season. Peddler’s Village (Routes 202 and 263, Lahaska, 215-794-4000, http://peddlersvillage.com) has a lot of activity at the site over the next few weeks. On December 7, Taller Puertorriqueño (2600 N 5th St, Philadelphia, https://tallerpr.org) will host its yearly “Parrandas de Navidad” from 6:30-8:30 p.m. The event is the 19TH ANNUAL traditional celebration of songs in the spirit of the season. Parrandas or trullas navideñas is Puerto Rico’s version of caroling. Participants are invited to bring their instruments and voices and get into the holiday spirit. Guests will also have the opportunity to partake in a tasting of favorite foods by Chef Marangeli Rosa’s Entre Sabores. The event will also feature refreshments, art, raffles, and much more.